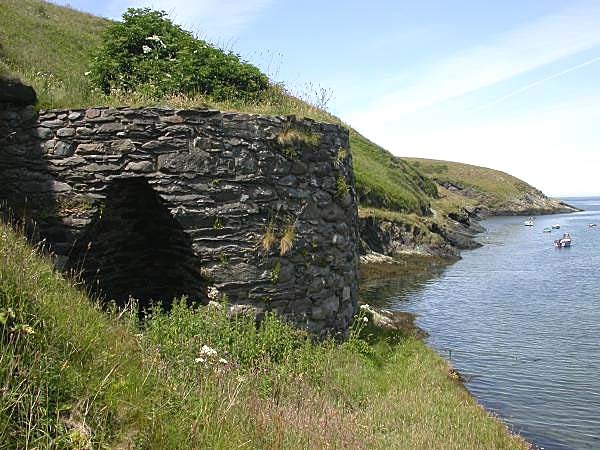 Within Pembrokeshire there is ample evidence of the extensive limeburning industry that once thrived, particularly along the coast. Often now in decaying condition, there are small kilns to be found on beaches, harbours and cliffs, anywhere where small sailing vessels could land culm and lime if there was no local supply available. by Peter B. S. Davies. Published by Merrivale in 1997. If you have any comments please let me know.